Shinnabhura Historic Boutique Hotel is a historic tourist hotel located on an area of ​​over 5 rai (1.97 acres) of Phitsanulok, which is filled with historical stories of Sukhothai Lanna, Ayutthaya. “Or” winner “, in other words, synonymous with the name of the important Buddha image of Phitsanulok, that is” Chinra “which means” the king who wins the passion “. Pura “means” city “, so Shinapura means” city of winners “or” city of Chinra “. 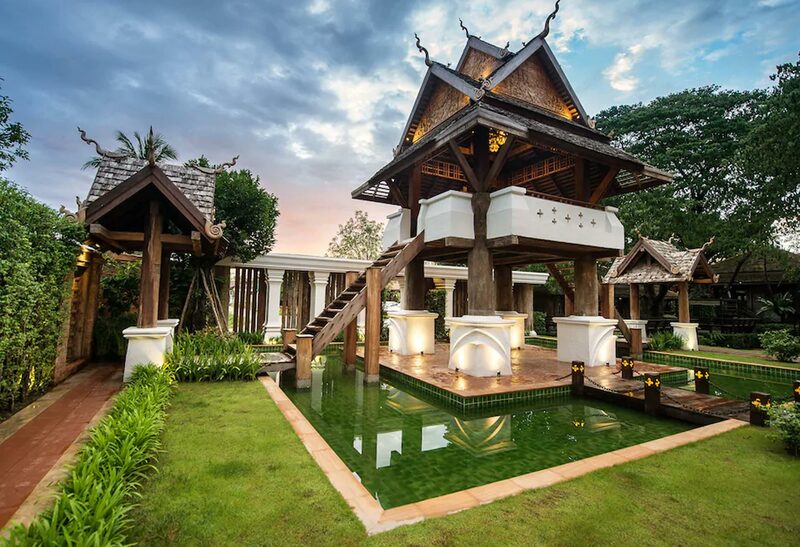 This unique hotel has been inspired by the war between His Majesty the King of Thailand. The King of Ayudhya and Lord Tilotharaj The King of Lanna at that time This hotel is located in Phitsanulok Province. One of the most important historical cities in Thailand. And another important thing is that in the past, the city of Phitsanulok used to be an outpost between Sukhothai Ayutthaya and Lanna for hundreds of years. The hotel of Shinapura is a clear combination.